I’ll be honest… I contemplated hunting out an actual brain to bake for this recipe because I’m pretty sure it would still be good, but just umm… more intense. As is, it’s a really fun appetizer that looks cool and is probably the most delicious appetizer in the world. Prove me wrong. I dare you! It also only has four ingredients so there’s no reason not to try it out! 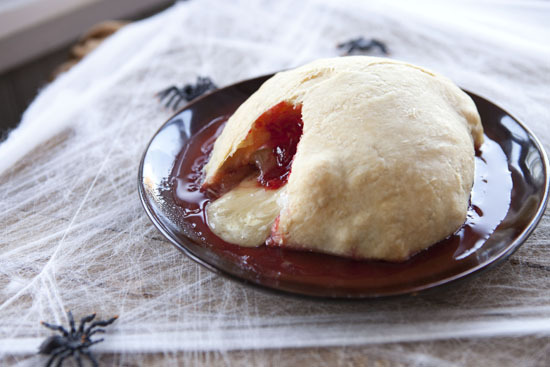 Brie and a bright red cherry jelly are baked inside puff pastry. A great Halloween appetizer! 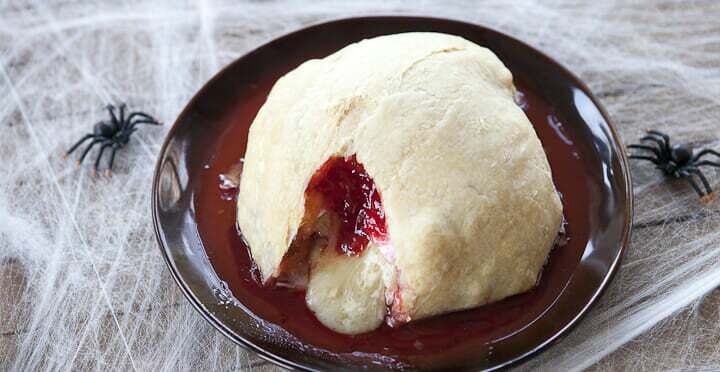 1) Thaw puff pastry according to directions. Preheat oven to 350 degrees. Mix jelly with food coloring. 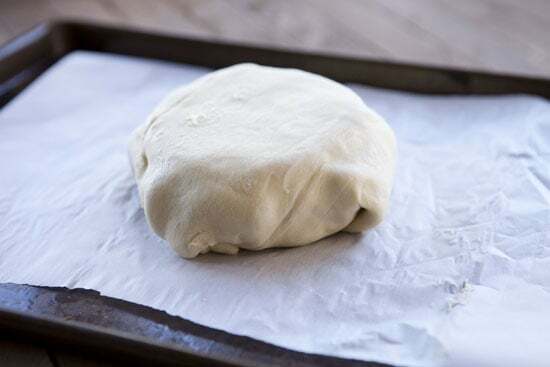 2) Unroll one sheet of puff pastry onto a baking sheet lined with parchment paper. 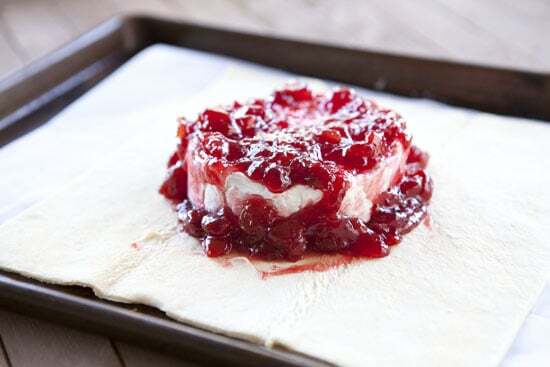 3) Spread some cherry jelly into the center of the pastry and set the entire wheel of brie right in the center. 4) Spoon rest of jelly onto brie and fold edges of puff pastry up. Seal it well. 5) Flip pastry so the seam of it is down on the baking sheet. 6) Bake for 25-30 minutes until the puff pastry is golden brown. 7) Let cool for 5 minutes before serving. Serve with crackers! Guys, this is the easiest recipe you’ll see on Macheesmo. Everything is already made. You just have to pick up some cherry jam, a sheet of frozen puff pastry, and a wheel of brie. I did add a few drops of red food coloring to the jelly to make the color pop a bit more. 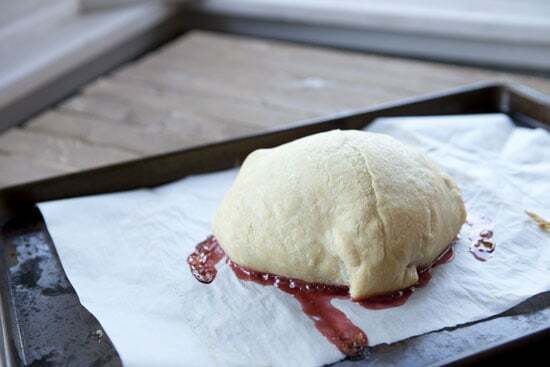 Thaw the puff pastry according to the directions and carefully unroll it onto a baking sheet lined with parchment paper. Then spoon out some of the cherry jam and plop your wheel of brie right in the center. 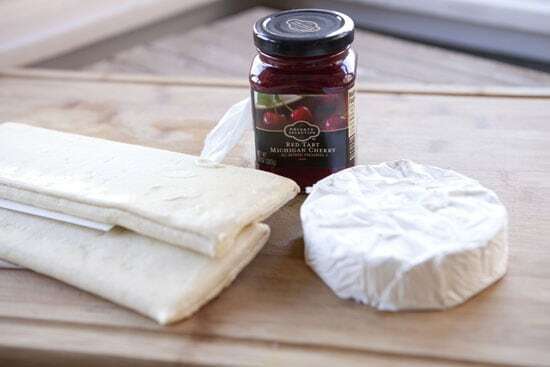 Then completely cover the brie with the rest of the jam. 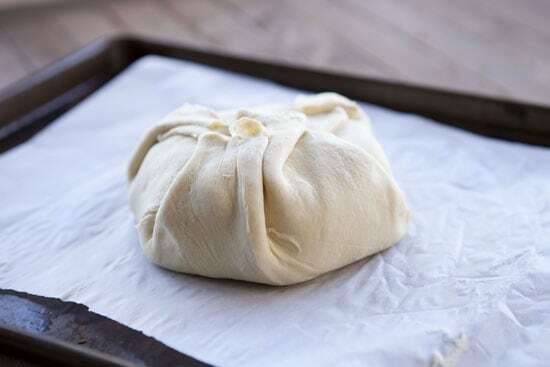 Fold up the edges of the puff pastry and press them together so the little pack is sealed tightly. Then flip the whole thing over so the seam side of the puff pastry is down on the baking sheet. If you don’t flip it, it’ll just bus open in the oven and be a true nightmare. Bake this thing at 350 degrees for about 25 minutes. The puff pastry will brown and puff up nicely. 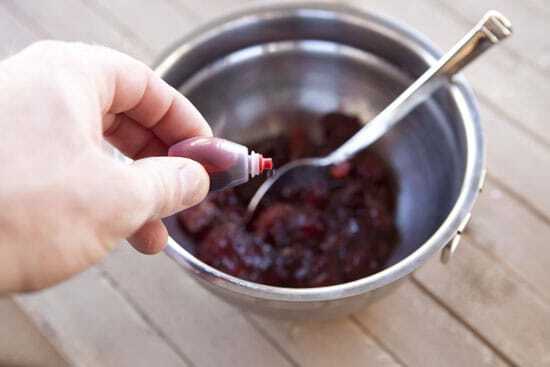 Some jelly might leak out but don’t worry about it. There’s still plenty inside. There will probably be some leakage. Most importantly, let this cool for a few minutes before cutting into it. Don’t worry, it will stay nice and melted for at least half an hour due to all the heat trapped in the puff pastry. Serve it with lots of crackers and enjoy! This is a recipe that anybody can make and everybody should. If you don’t like this, then I’m not sure I can help you in your search for deliciousness. We’re going to a Halloween party next week and I will definitely be bringing this one! I am pretty sure zombies would not find this amusing at all. Trickeration. PS, you need to clean your kitchen more, you have a serious spider problem on your table. Tried this yesterday. You are right that it is tasty. Posted some pics on my site. Thanks for this recipe, it was easy to make and everyone liked it. We had a party of twenty some people and I doubled the recipe , but it seemed I could of kept the original serving size or maybe 1 and a half. I put two brains in the oven at 350 for 25 minutes but ended up cooking for them for 45 minutes.